This past Friday the big release of Justin Martin’s remix to Strafe’s legendary track ‘Set It Off’ has now surfaced into the scene and is taking off by storm, along with the kick off of his tour. 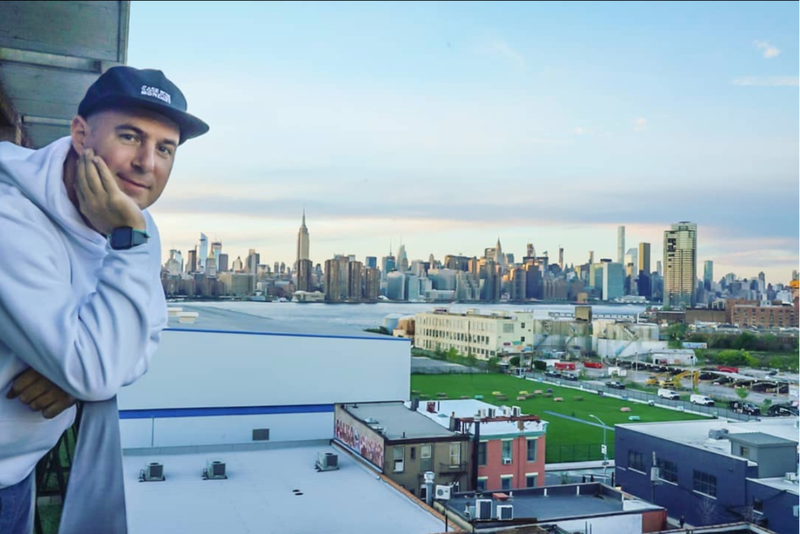 Justin Martin already stopped in cities such as Seattle, Philadelphia, and recently at Brooklyn’s Output. Bringing along with him are other friendly birds like Latmun, Omnom, Justin Jay’s Fantastic Voyage & Ardalan, Nick Monaco, Catz ‘N Dogz & Christian Martin. Over the past year, Justin Martin has been playing the edit and has gotten a huge reaction from fans and family. It’s been a few weeks since the beloved Dirtybird Campout and fans are still missing the feels and reliving the memories so it was an absolute must-attend show in Brooklyn. Many birds flocked to Output this past weekend where Latmun opened up for the pizza-loving Dirtybird playing some groovy tracks setting the mood perfectly such as Counting Tool, Passion, and Piquant. All around everyone was decked out in Dirtybird attire from hats, to shirts, to socks including the little birdie that covered the show. It was around midnight when Justin Martin hit the decks. Everyone was excited to see his presence before he performed, interacting with some of his loyal fans. When it was time for Justin Martin everyone applauded and cheered for him, immediately starting off with favorite tracks such as ‘Hello Clouds’ and his remix to Walker & Royce - ‘Pass That’. Everyone throughout the nightclub were dancing with giant smiles on their faces, Justin Martin knows exactly how to set the mood right with his amazing vibes spilling into the crowd. Once ‘Set It Off’ was played the crowd cheered and roared so many people were expecting to hear the popular new remix from Justin Martin. Justin Martin completely “Set It Off” with another incredible set with even a little drum n’ bass, showing his love and appreciation to his devoted fans that adventured out to Brooklyn. It was an intimate set compared his to festival sets however it is always a pleasure to one of Dirtybird’s popular artists. 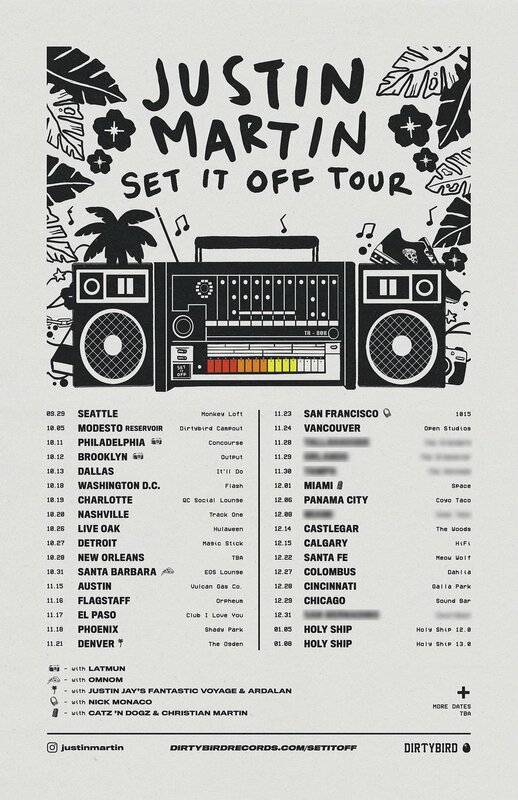 Justin Martin is still on his ‘Set It Off’ tour stopping at cities such as DC, Charlotte, Detroit, New Orleans, Denver, San Francisco, and Miami - he will continue until January where he sets sail on HolyShip! Catch Justin Martin at a city near you. Also, listen and purchase ‘Set It Off’ EP it comes with his viral original edit to Set It Off along with a Party Starter mix that’s will get you ready for the dance-floors.